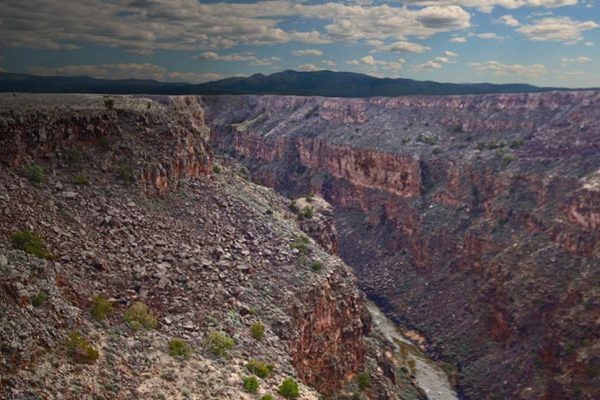 ESSA co-developed, with Headwaters Corporation, an AM Plan to guide the Middle Rio Grande Endangered Species Collaborative Program in using adaptive management to protect and improve the status of three endangered species while also protecting regional water uses. In the Middle Rio Grande (MRG) there is one dam on the mainstem and five dams on tributaries. The MRG is home to the Rio Grande Silvery Minnow and the Southwestern Willow Flycatcher, both of which are ESA-listed. The Silvery Minnow currently occurs nowhere else. The Collaborative Program was created to do three things: ensure ESA compliance of federal and non-federal water management agencies, achieve species recovery, and protect existing and future water uses. This is a difficult charge, given the many challenges. There is high year-to-year variability in the timing and magnitude of peak flows from spring runoff. Dams and diversions have dramatically altered the river’s hydrology, geomorphology, and consequently habitat for minnows and other species. There are tight legal controls on flows, storage, and releases, in part to meet legal requirements for water delivery to Texas and Mexico. This greatly constrains the ability to reshape the hydrograph with AM actions. The water is also over allocated, and projections indicate less runoff in future decades due to climate change. ESSA and Headwaters helped the Collaborative Program understand how to apply AM, and worked with Program members through the Assessment step in the AM cycle. This included exploration of the management entities and their responsibilities in order to identify the available decision-space for AM, crafting conceptual ecological models, and examining many hypotheses to distill main themes and overarching scientific uncertainties. We outlined a process for using simulation models to refine hypotheses and candidate actions to test them, and provided principles for selecting AM actions and examples of how to do this. We also provided guidance on implementation and governance, monitoring design and performance measures, methods and statistical approaches for evaluation, advice on analysis, synthesis an reporting. ESSA and Headwaters developed an AM Plan that laid out all of the building blocks and provided a roadmap for using science-based learning to inform decision-making on in the MRG.